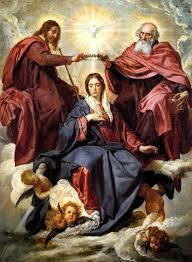 Holy Trinity is a blessing to its corner of God’s Kingdom. Its people have prayed and listened to God’s answer: serve and be in relationship with your neighbors. Please join me in giving thanks for Holy Trinity’s witness and praying that God will continue to bless their faithfulness in the years ahead. Not too shabby for a congregation that just a few months ago had to seriously consider whether God was calling us to close our doors! I am so proud to be your priest!